On the go or at home, this Smart Quick Charge Mobile Charger from Billion, a Flipkart brand, juices up your devices in record time – it charges up to 80 percent in just 45 minutes. It is compatible with both iOS and Android devices. But that’s not the selling point. This smart charger intelligently identifies the exact power needed by your phone and then charges it using the most efficient charging current. 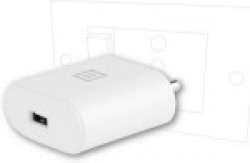 It also proves to be a reliable travel companion – it supports an input voltage range of 110-240 V.